Henry VIII’s sixth and final wife, Katherine Parr, outlived Henry and died of child bed fever in 1548. Assess the Effects of the Reformation on the Lives of Women in Sixteenth-Century Europe? I was very proud of this essay which I wrote as part of my Masters degree. It got me a first. Please don’t use sections from it in your own work without proper referencing. Author Helene HarrisonPosted on Oct 26, 2013 Jan 27, 2015 Categories Elizabeth I, Essays, European, Henry VIII, Katherine Parr, Reformation, WitchcraftTags Education, Marriage, Monarchy, Reformation, Religion, Scholars, Witchcraft, WomenLeave a comment on Assess the Effects of the Reformation on the Lives of Women in Sixteenth-Century Europe? 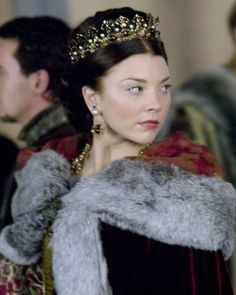 Natalie Dormer as Anne Boleyn in ‘The Tudors’ (2008). There is a large selection of photos on my Facebook page today from The Tudors Seasons 1-4. It stars Jonathan Rhys Meyers as Henry VIII, Henry Cavill as Charles Brandon, Maria Doyle Kennedy as Katherine of Aragon, Natalie Dormer as Anne Boleyn, Annabelle Wallis as Jane Seymour, Joss Stone as Anne of Cleves, Tamzin Merchant as Katherine Howard and Joely Richardson as Katherine Parr along with James Frain as Thomas Cromwell and Sam Neill as Thomas Wolsey. 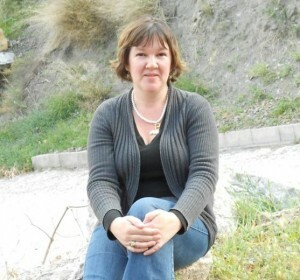 Claire Ridgway, writer and author, runs The Anne Boleyn Files. This morning I came across this interesting set of posts written by Claire Ridgway of The Anne Boleyn Files on the stereotypes of the six wives of Henry VIII. 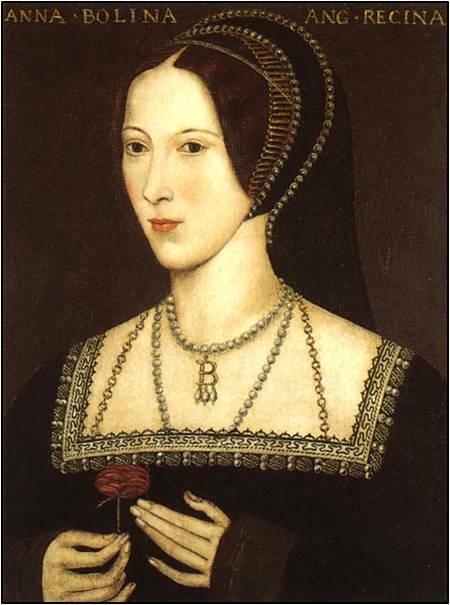 Catherine of Aragon – The Boring One? Jane Seymour – The Meek and Mild One? 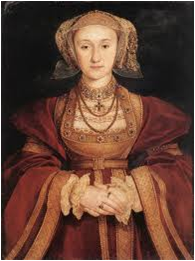 Anne of Cleves – Flanders Mare? Catherine Howard – The Material Girl? This post is an update on a previous post. Instead of just listing the monarchs and consorts and when they ruled I have also listed the legitimate children of each union and their title. As promised following my post on basic facts about the Tudors monarchs, a post on the basics of the Tudor consorts, including the six wives of Henry VIII, Elizabeth of York and Phillip II of Spain. Enjoy! 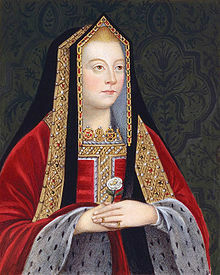 18th century copy of Elizabeth of York as queen; she holds the white rose of the House of York. This is a post which I compiled last year: it includes the dates and consorts of all English and British monarchs. I was intending to also list children but haven’t yet got around to it. I’ll update the post at a later time. So judging from some of the searches coming up on my stats page, and from personal experience, now is about the time that people begin to choose their dissertation questions, and some essay questions so I thought I’d put up a list of possibles here to help you guys out. I realise these are far from exhaustive, and some of the phrasing could do with improving, but they’re just examples. Henry VII holding a Tudor Rose, wearing collar of the Order of the Golden Fleece, 1505. 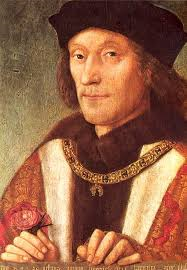 What steps did Henry VII take to consolidate his power after Bosworth? How did Henry VII manipulate Richard III’s image to suit his own purpose? How serious was the threat to Henry VII by pretenders? How far was Henry VII’s authority challenged by rebellions and conspiracies during his reign? How did Henry VII exert control ove his financial policies and why was this control so important? Henry VII negotiated marriages for his children before his death, but how successful were they politically? Compare the success of the pretenders Lambert Simnel and Perkin Warbeck? To what extent did Henry VII contribute to the death of Prince Arthur? What did Henry VII do to try to win over the English people? How crucial were the roles of councillors in Henry VII’s reign? 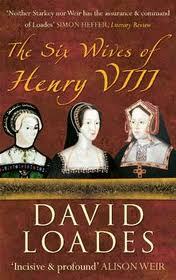 ‘The Six Wives of Henry VIII’ by David Loades (2010). Title: There seems to be quite a lot of books entitled The Six Wives of Henry VIII or something very similar, including works by David Starkey, Antonia Fraser and Alison Weir. It’s simple and straight to the point, making it clear what the book is about. What is lacking about this and similar titles is that it isn’t very imaginative and suggests that the author will simply be looking at the same things that have been covered before. Why Did Thomas Wolsey Fall from Power in 1529? How United was Spain under Ferdinand and Isabella?